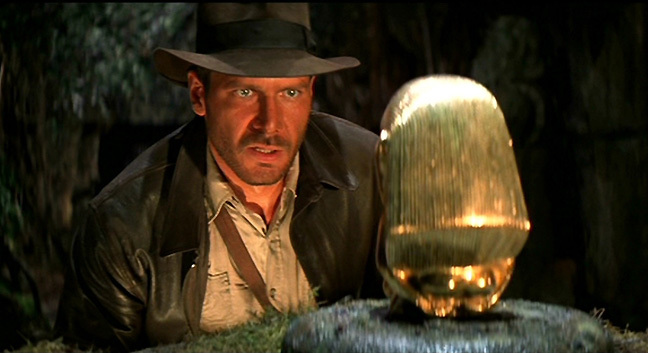 When you think about it, academic research is sort of like treasure hunting. You enter a mysterious realm, search for valuable objects, and sometimes face unexpected challenges. I guess that's why I sometimes find myself humming the theme to Raiders of the Lost Ark when I start my own research adventures. 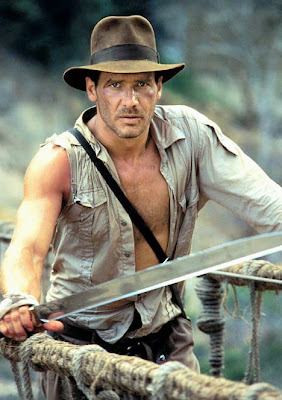 Heck, when I return from the forest of knowledge with something valuable, I almost feel like Indiana Jones! Research. Why'd it have to be research? In my COMM 101 class, students are embarking on their own journeys into the unknown by developing research proposals - and many are experiencing the inevitable stress that comes from such an open ended assignment. For them, research isn't necessarily an adventure. In fact, it might be more like being trapped in the "Temple of Doom." Oh, the path starts off easily enough. Students are simply asked to use a theory of human communication to analyze an example of human communication. In our class, we use Em Griffin's First Look at Communication Theory as a guide. Of course while walking the path with my students I've also brought a torch to illuminate some denser sections. Even so, inexperienced explorers often conclude that the journey is way too dangerous. You've got to put your heart into your work. Here's the plot (without the rousing theme music): Students must produce a research project, which means they articulate a research question or hypothesis, review four peer-reviewed journal articles related to their topic, summarize a theory they've chosen to use, and describe the results of their preliminary analysis. They write up a 5-6 page paper and also deliver a brief oral presentation. 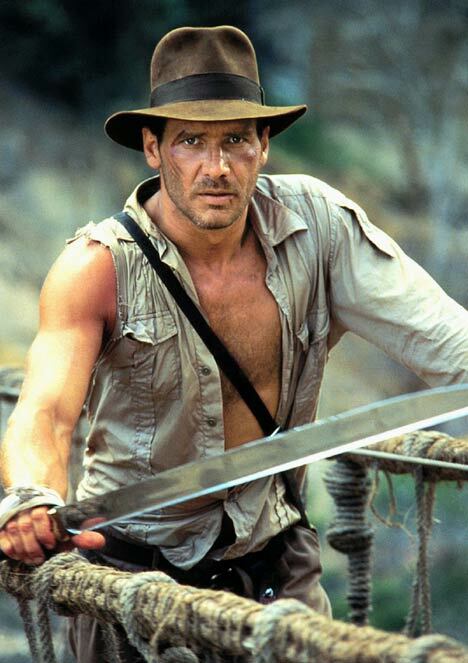 If Indiana Jones can battle evil Nazis in not one but two separate movies, student treasure hunters can survive this adventure, right? Well, actually, the journey is harder than it looks. You see, there are many ways to start a research proposal. You want a "topic," of course, but that topic can develop along at least two paths. You might start with an artifact of communication that interests you, and ask a question about it. Or you might start with a question about communication and find an artifact that helps you answer it. Hmm. Which way to turn? Me, I recommend starting with an artifact and going from there. An artifact refers to an example of communication. 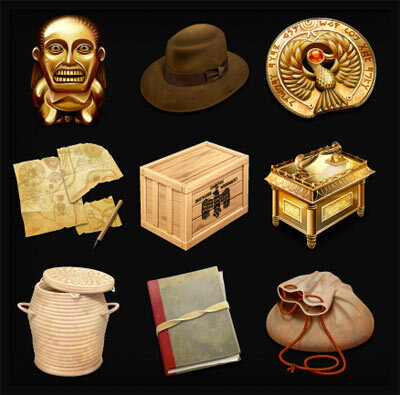 Among other things, an artifact can be a speech, a television show, a movie, a poster, an advertisement, or even observations of human performance or behavior. 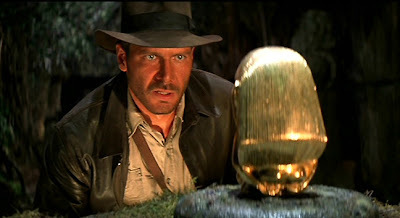 Indiana Jones would remind us that a Crystal Skull would also be a fascinating artifact (even if it's a lousy movie) but crystal skulls are hard to find. I suggest that you stick with something you can more easily track down. Either way, your artifact must inspire you to ask a question about how it works as communication [Yes, you could develop a hypothesis instead, but let's stick to a qualitative approach for now]. So, let's say you're interested in a television show like The Office. You find communication within the show, and there's plenty of communication about the show. Just remember, your artifact isn't "the show." It's got to be a thing related to that show, an object you've got close at hand. Artifacts of The Office can be downloaded episodes, transcripts of dialogue, or perhaps taped conversations with people who speak interestingly about the show. 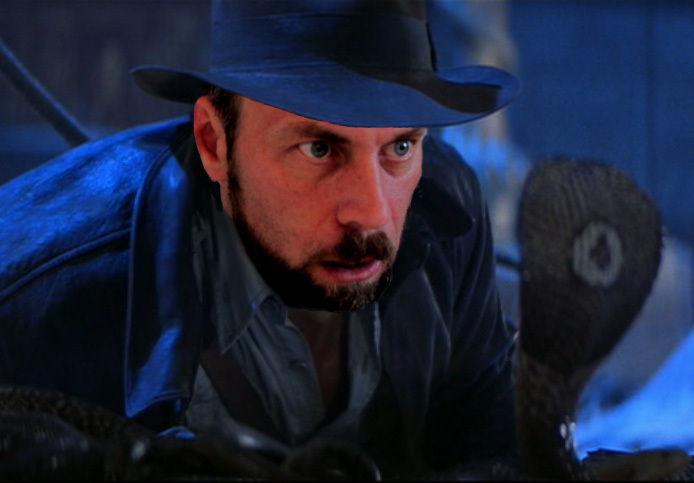 Indiana Jones can't just wander around looking at treasures; he's got to bring one back to the lab. So should you. Once you've grabbed your artifact, you're ready to transform it into a research question. A research question is a relatively open-ended query that allows you to explain something about your artifact. That "something" should be specific; it can't be overly broad. Thus you wouldn't ask something like, "How is The Office an example of communication?" Instead you'd ask something like, "How does The Office depict the workplace as a family?" But wait! How did that question arise? This is the hardest part of your adventure, because the choice to focus on something like "workplace as a family" does not present itself naturally. You've got to hack through some dense foliage to reveal a specific research question. That's where a guide can come in handy. Our textbook contains many different guidelines to doing communication analysis that inspire the creation of a particular question. Each chapter's description of theory and method (one usually includes the other or, at least, leads to the other) is like a pathway whereupon you will forge a specific research question that helps you find treasure. Here are some examples: Chapters on relational communication call for the intrepid explorer to investigate shared uses of symbols (again, something like, "How does The Office depict the workplace as a family?") Chapters on relationship maintenance, though, call for different questions (something like, "How do romantic partners in The Office balance the tension between revelation and concealment?"). Chapters on public communication, as you'd guess, call for still different questions. So after reading the chapter on Aristotle, a researcher might ask, "How does Michael Scott employ ethos to motivate his workers?" See? One guide, many paths. Research is harder than it looks! Again, this journey is hard because while you have a guide (and a torch-bearer) you must still enter the jungle of ideas without a clear sense of what you'll find. That's the craft of research. The journey demands a willingness to take a first step, knowing that you might feel lost for a while, knowing that you will encounter obstacles in your way, knowing even that you may have to turn around and start along a new path. It can be scary, it can be frustrating, but it can also be a lot of fun. Searching for the Lost Research Question requires courage to define your own story, not just to repeat the stories of others. Indeed, do you remember that scene in Raiders of the Lost Ark when Indiana Jones admitted, "I'm just making it up as I go along"? Again, that's the craft of research. Strangely enough, though, while we're talking about presumably artificial things like movies and school work, "I'm just making it up as I go along" is a good definition for real life. It's a treasure hunt, a risky journey, and an unforgettable adventure. And the best part? You get to write the script!